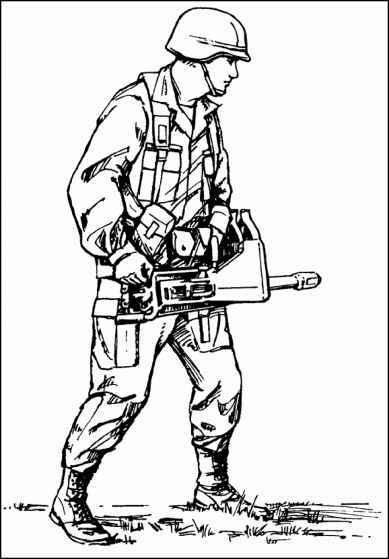 (1) Carries the MK 19 receiver to the tripod, with the barrel in his left hand, and the control grip in his right hand (Figure H-5). (2) At the tripod, the assistant gunner grasps the barrel while the gunner holds the grips. 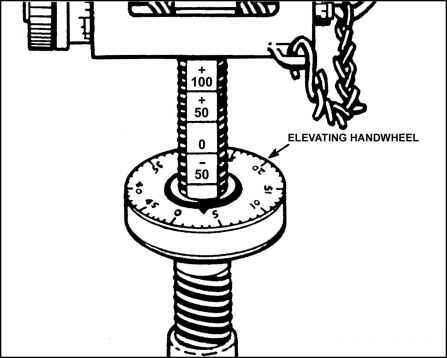 (3) The gunner and assistant gunner align the grooves on the receiver with the lugs in the gun cradle, and slide the receiver forward (Figure H-6). (4) Secures the rear of the weapon by inserting the retaining pin through the cradle and sear assembly (Figure H-7).